The SIM Card Seizure is a law-enforcement-grade surveillance tool that lets you recover all of the SIM card data from a person’s cell phone. It gives you access to the person’s contacts, call history, calendar events, web browsing history, text messages and deleted text messages. It’s perfect for concerned parents and spouses that want to see what their loved ones are doing on their phone. Employers and business professionals can also use the SIM Card Seizure to recover and keep track of important data. 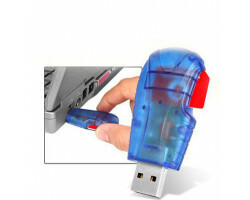 The SIM Card Seizure is compatible with any cell phone that records data onto a SIM card. This doesn’t include smartphones, such as Apple iOS and Android devices. You can still access all of the data on the SIM card even if the person’s cell phone subscription has lapsed. Regardless of how long it’s been since the last message was sent, you can still find the information you’re looking for. The device will retrieve all of the data on the person’s SIM card, including their contacts, call history, calendar entries, text messages and Internet browsing history. As long as the person hasn’t overwritten the data on the SIM card, you can also access their deleted text messages. You can rest assured that you’ll be able to see everything that the person has been doing on their cell phone. The SIM Card Seizure is extremely easy to use. Just remove the SIM card from the person’s cell phone and insert it into the SIM Card Seizure. 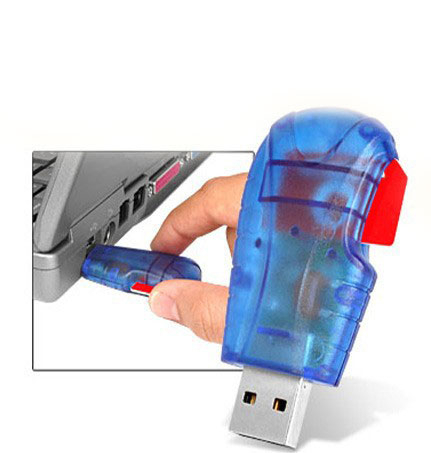 Next, plug the SIM Card Seizure into your Windows computer via the USB slot. Finally, run the included software on the SIM Card Seizure and you’ll have all of the person’s data in just 3 to 5 minutes. The software on the device will compile all of the data into an easy-to-read report. The report organizes the data into separate folders, helping you parse through all of the information quickly and easily. The report includes the sender and receiver, the time and date, and the contents of the message. You can quickly skim through the report until you find exactly what you’re looking for. The SIM Card Seizure is designed for secure, reliable cell phone surveillance. If you’re worried about what your loved ones are doing online or whom they’re talking to on their phone, you can quickly get to the bottom of the situation. As a business professional, you can retrieve and store all of the data you or your employees are using on the company phone. Get fast access to the data you need with the SIM Card Seizure. Data Recovery Type: text messages, contacts, call history, and calendar entries, Internet browsing history.